At sea and on land, we're working hard to keep the world's albatross populations afloat. Find out how. This year the Albatross Task Force is following the lives of four albatross species breeding on Bird Island, South Georgia. Help us come up with names for them by March 19th! For the past two years I have been teaching schoolchildren in Mar del Plata (Argentina) about albatrosses and petrels. I am always touched by the enthusiasm and astonishment in the faces of the girls and boys who participate in these learning activities, no matter how old they are. The wandering albatross breeding season on Bird Island (South Georgia) has officially begun, with the first egg being laid last week! The bird in question has never bred on Bird Island before, but was ringed as a chick there back in 2008. It looks like she has finally returned home this Christmas to take on the responsibility of parenthood – 10 years later! Bycatch in longline fisheries is a major source of mortality for albatrosses and large petrel species, many of which are already endangered. It is estimated that over 300,000 seabirds are killed by longline fisheries globally every year, as the birds become caught on fishing hooks while they scavenge for the bait being set by the fishermen at the stern of vessel. Last week I returned from my trip on Abate Molina – a scientific research vessel owned by the Fisheries Development Institute (IFOP) in Chile. Although I have been working with the Albatross Task Force for over ten years, this was the first time I was on such a boat. In fact, being Argentinian, it was the first time I sailed through the waters of the South Pacific Ocean! This austral winter has brought positive change for the ATF teams working to reduce seabird bycatch in South America. In Argentina and Chile we have been working hard to put together a collaborative conservation effort to help save vulnerable seabirds in the Humboldt Current system - an unprecedented international cooperation in the history of the ATF! 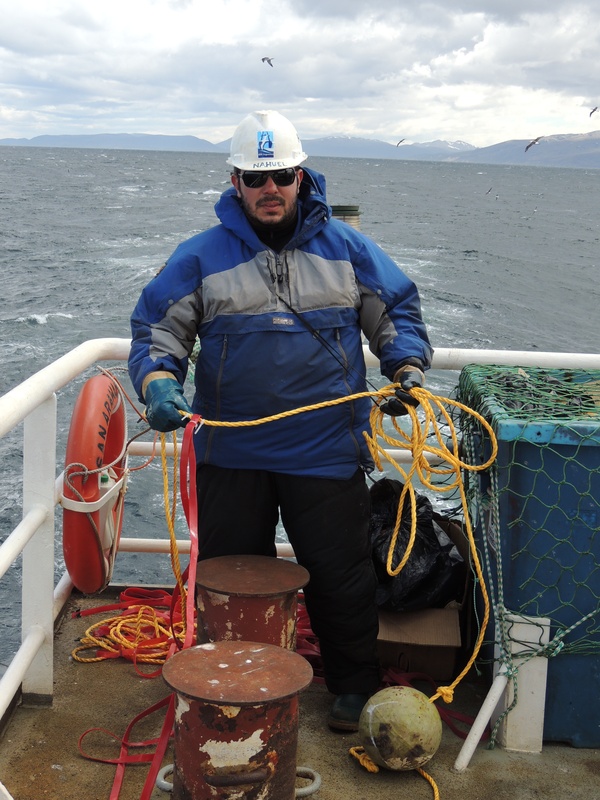 Some time ago I wrote about the challenges for small scale fishers in Chile, who are represented by fragile working conditions and confront stormy waters in the ironically named Pacific Ocean. Today I am not going to brag about all the amazing and rare seabirds that I see (I see Wandering Albatross when I am at sea!) and all the whales, dolphins and sharks that I encountered on my journeys at sea. Today I want to share with you how conducting at-sea trials changed my perspective on life. I want to tell you about how changing the fate of seabirds has changed my fate. 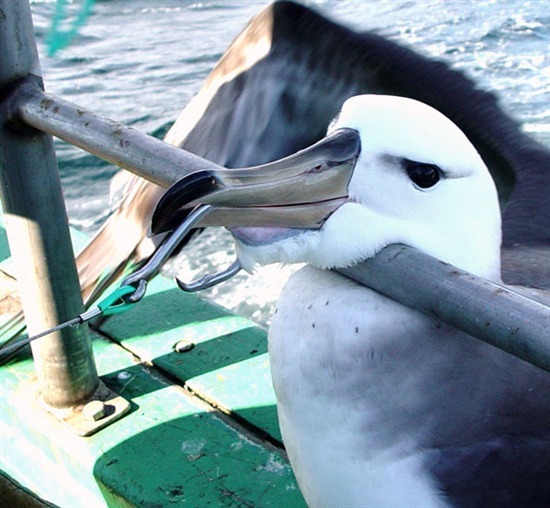 Incidental bycatch in fisheries constitutes the major threat for many vulnerable populations of seabirds. Globally 300,000 seabirds are killed in longline and trawl fisheries where they are hooked and drown on baited hooks or are struck by trawl cables and dragged under water. Approximately 100,000 of these birds are albatross, the most threatened family of birds with 15 of 22 species at risk of extinction. Of the 300,000 seabirds killed in longline and trawl fisheries each year, around 100,000 are albatross. This level of mortality is clearly not sustainable for these inspirational, but sadly imperilled seabirds, with 15 of the 22 species of albatross threatened with extinction. I recently headed down to Hout Bay, South Africa to join a demersal (bottom) longline fishing vessel in a fishery we have recently begun working with again to improve and update mitigation measures.